Most people would agree that there is not a more complete striking-based martial art than Muay Thai. The ancient art of eight limbs has fascinated millions around the world, not just with the power and beauty of its techniques and approach to unarmed combat, but with the discipline, spirituality, and rich traditions involved in it as well. 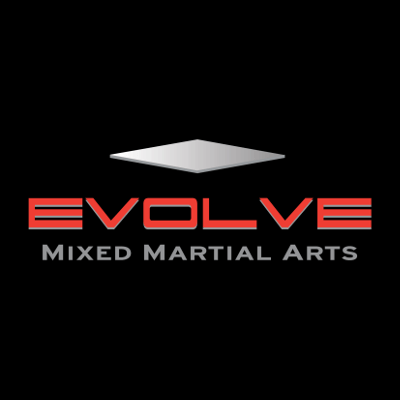 The techniques performed with every limb available to a Muay Thai fighter – fists, elbows, knees, and shins – have been refined over hundreds of years; quickly evolving over the centuries into an art that is both incredibly simple in its form and execution, yet highly profound in its effect and versatility. So it’s really not hard to see why the art is so feared and respected in the world of unarmed combat; with almost every modern day fighter in the vastly popular and fast-growing sport of Mixed Martial Arts (MMA) investing a large portion of their training in the art of Muay Thai and its effective and calculated use of the eight limbs. Today, we will take a more detailed look at this spectacular art and how it functions in its approach by breaking down the 8 weapons utilized in Muay Thai. In Muay Thai, the fists are without a doubt the most used weapons at mid-range. The technique and execution of punches in Muay Thai are similar to punches in boxing. The difference comes not from the technique or mechanics involved in executing the punches but in the manner and form in which they are thrown – which is largely due to the footwork and guard form commonly used in Muay Thai. 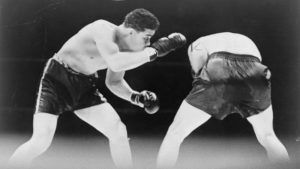 So whether they are thrown from the lead or rear fist, the straight (jab or cross), hook, uppercut, and variations of them are executed more or less with the same mechanics as that of boxing with the turning of the hips and foot behind every punch for the best possible balance of speed, power and explosiveness. And as it is in boxing, the lead fist operates as the quicker but less power reliant punch. The jab is the most used technique from the lead fist. It is used best as a sharp and speedy punch to provide a stinging effect enough to stun the opponent in order to follow up with other strikes from another or even the same limb. The most powerful punch from the lead hand is arguably the hook, but the uppercut, though rarely executed as an initial strike from the lead due to its difficulty, can no doubt provide for an equally devastating effect as well if given the right position and angle. The lead fist is also used for hand fighting (especially between fighters of opposite stances) and thrown or stretched out occasionally in the form of a tap or even a light, calculated jab to help fighters gauge their range in the ring. The rear fist is the main go-to power technique available to a Muay Thai fighter in the mid-range. 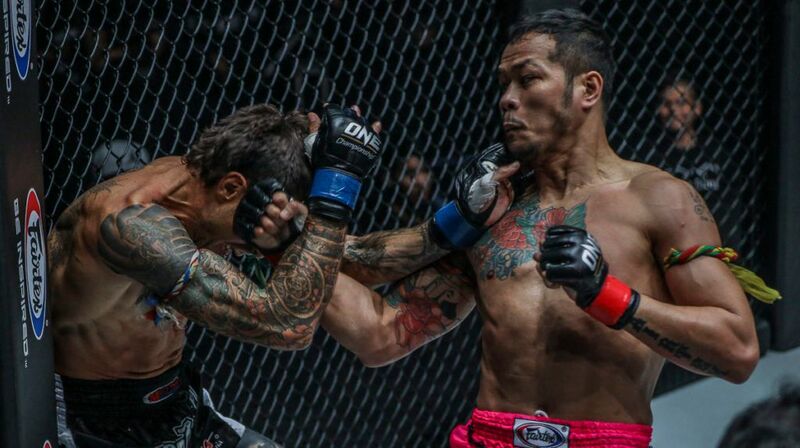 Whether it’s the cross, hook, or uppercut – punches executed from this fist contain the most power and are usually responsible for high scoring significant strikes or finishing the opponent. 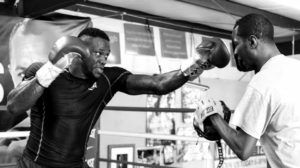 However, while the technique and execution of punches in Muay Thai draw parallels to that of boxing, the use of fists in Muay Thai can no doubt play many more roles in Muay Thai than it does in the sweet science. One of the more significant roles it plays in Muay Thai is its use with kicks. For a very common and simple example of this (as seen in the gif above) is when a fighter uses a lead hook, not with the intention to score with a clean punch but to cause the opponent to shift towards a follow-up kick from the rear leg. In that way, the force from the follow-up rear kick is amplified. So whether it’s masking a kick behind a punch feint or using punches to set up a kick, the art of Muay Thai has perfected the use of different limbs together; and it has an incredibly intelligent and effective way of using the fists alongside the shins. 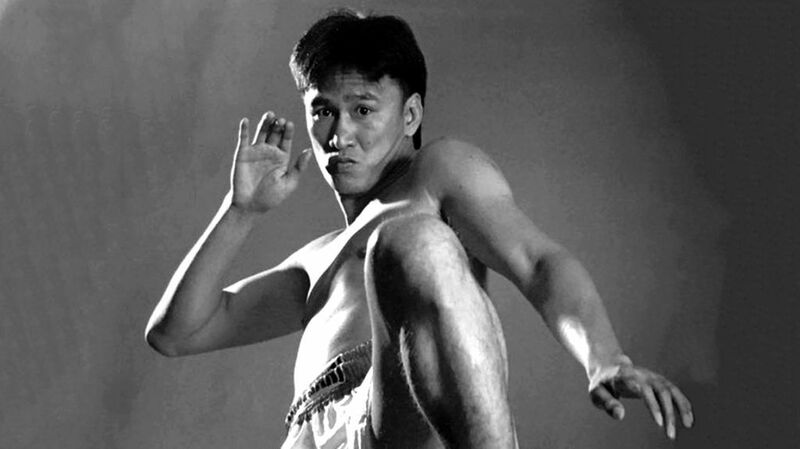 Technical fighters like the legendary Samart Payakaroon and Somluck Khamsing, or knockout artists like Khaosai Galaxy and Veeraphol Sahaprom, are some of the more popular examples of Muay Thai fighters who have exceptional Muay Thai boxing abilities and used them to near perfection in their overall Muay Thai game during their successful careers. The use of elbows in Muay Thai is unique. Many other martial arts and combat sports like karate and taekwondo may include elbow strikes, but none of them allow for elbows to be used quite as practically and often as Muay Thai, especially in competition. 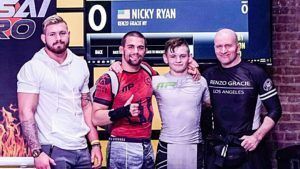 This grants the average Muay Thai fighter a significant advantage on the feet over practitioners of most other martial arts. This is because the elbows work very much as the knives of the Muay Thai arsenal. When executed correctly, they have the ability to cause severe cuts across the face or even end a fight altogether. Attacks using the elbows are usually executed in close-range. So even in a situation where two fighters are forced close to one another or into a clinch, where the use of punches and kicks are almost impossible, the average Muay Thai fighter is still able to be effective and even dominate and devastate their opponents with elbow and knee strikes that are no doubt supplemented by knowledge in the art of Muay Thai clinching as well. Also, because of the structure and sharpness of the elbow and the blade of the forearm connected to the elbow, elbow strikes are able to slice and penetrate through an opponent’s guard like no other strike can. This is no doubt one of the most distinct and beneficial aspects of the elbow strike. Some of the most commonly used elbow strikes in Muay Thai include the horizontal, upward, slashing/diagonal, chopping, and spinning elbow strikes. For videos and a closer look at each of these elbow techniques, click here. Like the use of elbows, no other martial art comes even remotely close to the manner in which knees are utilized in the world of Muay Thai. And like the elbow strikes of Muay Thai, the knee techniques of Muay Thai coupled with a comprehensive knowledge of clinch fighting is no doubt what sets the ancient “Art of Eight Limbs” far apart from all other striking-based martial arts. Knee strikes are without a doubt one of the most lethal and important aspects of Muay Thai. Often compared to the spears and pikes of ancient warfare, a well-placed knee strike to the right area of the body will most certainly spell the end for its victim. The refined knee strikes used in Muay Thai have the potential to knock an opponent completely and utterly unconscious. In Muay Thai, there are mainly eight different common knee techniques that can be used from mid-range, close-range, or in the clinch depending on the type of knee strike. However, in Muay Thai, knee strikes are used most often in the clinch and relatively rarely outside the clinch or close-range. Almost every bone that forms or is connected to the knee – the lowest point of the femur, the patella (kneecap), and topmost part of the tibia – is used in the different types of knee strikes. The general intention of the use of the knee as a weapon, especially in the clinch, is to break the opponent’s body down gradually with the hardness and sharpness of the knee joint which is fueled with the large amount of force that can be generated from the nearby thigh muscles, hip, and core. The devastating amount of force that can actually be generated in certain knee techniques is frightening and humbling. A clean straight knee strike to the chest, for example, has been proven to be equal to the power of a 35-mile-an-hour (56.3-kilometer-an-hour) car crash. For videos and a closer look at the different types of knees strikes in Muay Thai, click here. The roundhouse kick is without question the most frequently used power kicking technique used in combat sports. And of all the variations of the roundhouse kick across the many martial arts in the world, it the refined version used in Muay Thai that strikes the most fear in the world of unarmed combat. What makes Muay Thai so unique when compared to all other unarmed fighting arts is no doubt the art’s use of elbow and knee strikes. But make no mistake about it, it is the use of the shins and feet that the ancient art has built its foundation on. 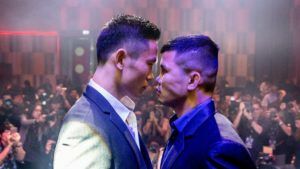 And it is through the simplicity, power, and technique of its kicks that Muay Thai has caught the attention of millions of fight fans worldwide. The mechanics behind the famed Muay Thai roundhouse kick works very much like how a bat is swung. 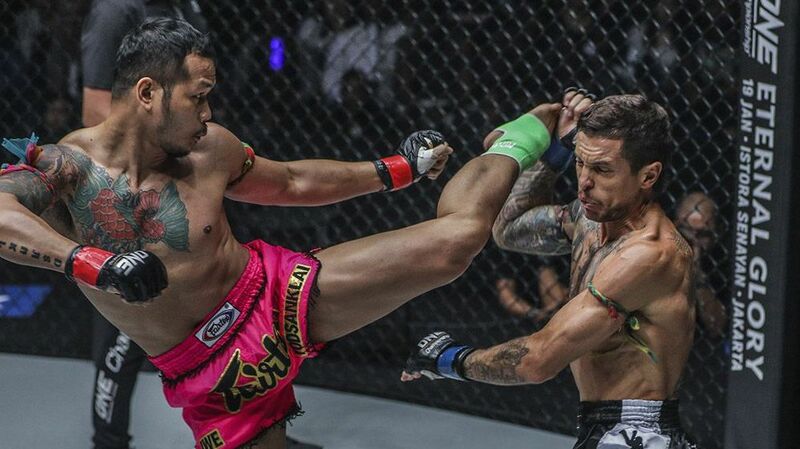 As the long to mid-range weapons of Muay Thai, the roundhouse kick is thrown using as much of the entire body as possible; with the legs, hips, core, and also the arms. The rotation of the entire body when kicking channels weight to the shins at a highly explosive rate. 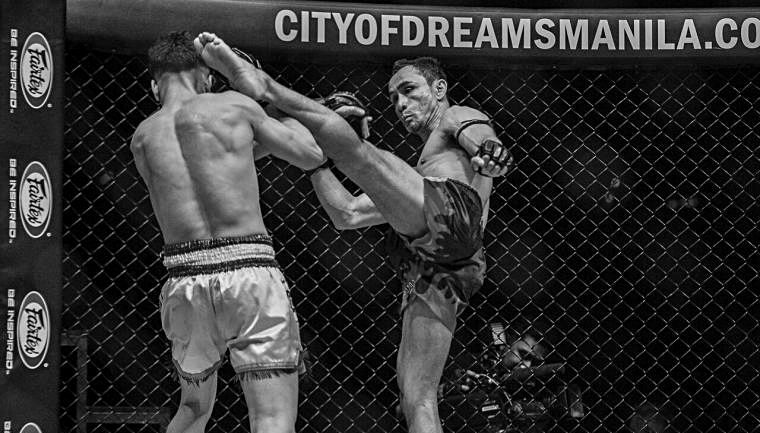 So whether they are thrown to the head, body or legs of an opponent, the Muay Thai roundhouse kick generates a deadly amount of force that is unmatched by any other strike. Another way the kicks of Muay Thai are highly regarded is through its foot-thrusts, also known in Thai as teeps. Often regarded as one of the most underrated and perhaps also the most underutilized of all the techniques in Muay Thai, the teep enhances a Muay Thai fighter’s offensive and defensive capabilities and plays a huge part in breaking down an opponent mentally. Many experts and fans of Muay Thai often compare the teep to the jab of the fists (especially the lead leg teep) because of its simplicity and its general function both offensively and defensively in a fight. However, it goes without saying that the teep has a lot more damage and impact potential than a jab. And when done at the right moment, with the right technique, and to the right target area – any variation of the teep can send its victim flying as far as the ring would allow him/her. For videos and a closer look at the different types of teeps in Muay Thai, click here.